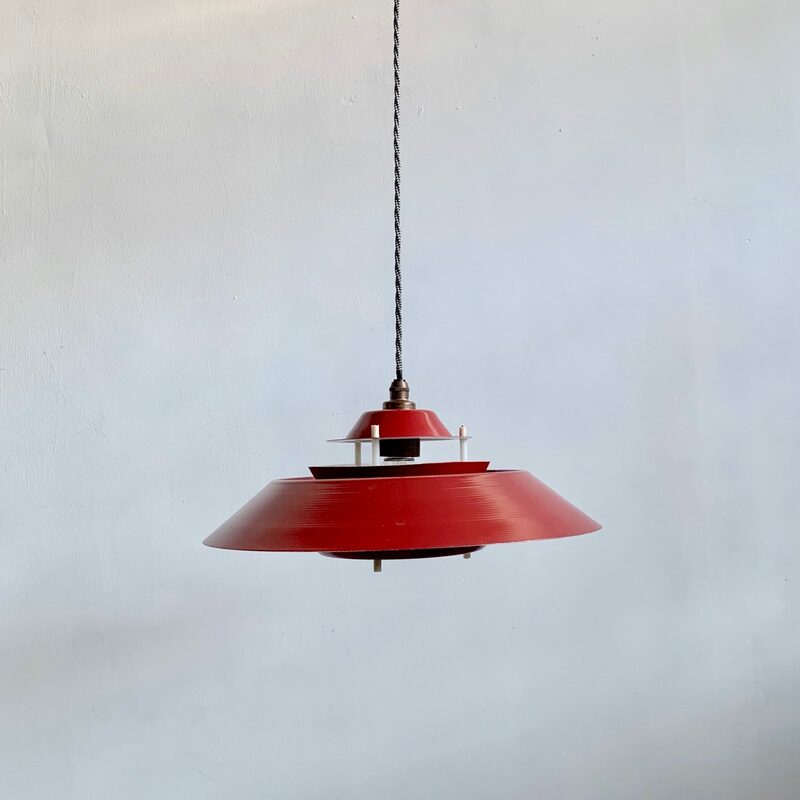 1960s industrial painted red metal shade pendant with white underside. Light fitting requires one E27 lamp. Supplied with flex and ceiling fitting.